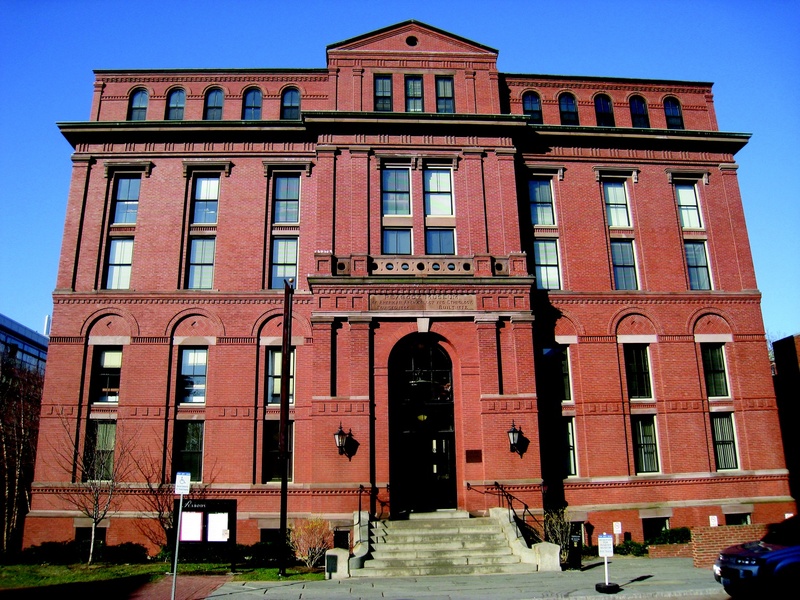 The Peabody Museum of Archaeology and Ethnology. NEW YORK — Standing opposite the Harvard Club of New York and surrounded by cameras, microphones, and lawyers, a Connecticut woman announced Wednesday that she has sued Harvard to gain the rights to historic photos of enslaved people she says are her ancestors — and to challenge the University’s continued ties to slavery. The plaintiff, Tamara K. Lanier, filed suit against Harvard in Middlesex Superior Court Wednesday, alleging that the University unlawfully possesses and profits from the photos, which are believed to be some of the oldest photos of American slaves in existence. The photos — commissioned by Harvard biologist Louis Agassiz in the 19th century in an attempt to prove a scientific theory of white superiority — depict Lanier’s great-great-great grandfather, Renty, and his daughter, Delia, according to the complaint. Lanier argues that Renty and Delia could not have consented to being photographed at the time and could not own the photographs Agassiz made. She also alleges that the University has refused to acknowledge her relation to Renty and Delia and has refused to return the photos to her. The images are currently housed in the Harvard Peabody Museum of Archaeology and Ethnology, which Lanier also names as a defendant in the lawsuit. University spokesperson Jonathan L. Swain declined to comment on the suit on behalf of the University, writing in an email that Harvard had not yet been served Lanier’s complaint. Civil rights attorney Benjamin L. Crump — who has represented the families of victims of police violence such as Trayvon Martin, Michael Brown, and Tamir Rice — is serving as counsel for Lanier. Crump wrote on Twitter that Lanier’s case may turn out to be one of the most important lawsuits since Brown v. Board of Education. “This lawsuit is setting a precedent, because not only is it fighting for the linear descendants of Renty, but it is also fighting for the linear descendants of all African slaves,” he added. Harvard’s complicity in the American slave trade has become a topic of increasing campus conversation in recent years. In 2016, after student protests, the University disposed of the Harvard Law School seal, which referenced the crest of a slaveholding donor family; that same year, then-University President Drew G. Faust convened a faculty committee to advise the University on researching Harvard’s ties to slavery. More recently, Harvard joined the University of Virginia’s Universities Studying Slavery initiative. But Lanier’s lawsuit alleges that, by refusing her ownership of the photos, the University perpetuates its ties to slavery. The complaint — which contains a five-part narrative history of the life of Renty and the history of the daguerreotypes — states that Agassiz commissioned the photos of Renty and Delia as part of an effort to document physical evidence of polygenism, the theory that different racial groups do not share a common biological origin. Defenders of slavery in the 19th century used polygenism to argue that African and African-American people were genetically distinct from and inferior to white people. “Responsibility for that crime lies squarely with Harvard, which elevated Agassiz to the highest echelons of academia and steadfastly supported him as he promoted and legitimized the poisonous myth of white superiority,” the complaint reads. Lanier said at the press conference that she first connected herself to Renty and the photographs through the oral history her mother passed down to her from childhood. “It was important to her that I documented the story,” she added. Lanier’s lawyers wrote in the complaint that, after her mother’s death, Lanier conducted interviews, searched libraries and archives, and browsed online “genealogy sources” in a “years-long journey” to document the connection between Renty and her family. That journey eventually led her to Harvard. In 2011, Lanier wrote a letter to Faust asking that Harvard review the documentation she had collected and provide more information about how the University had used the daguerrotypes. The complaint also alleges that the University and the museum continue to profit off of the images. In 2017, the Peabody published the image of Renty on the cover of the 30th anniversary edition of “From Site to Sight: Anthropology, Photography and the Power of Imagery,” which is distributed through Harvard University Press. The complaint alleges that Harvard charges a “hefty ‘licensing’ fee” for use of the photographs. University spokesperson Rachael Dane wrote in an emailed statement on behalf of the Peabody Museum that the Peabody does not currently charge to license the images and that the photos are in the public domain. The museum charges $15 to produce a high resolution image of the daguerreotypes, for which it receives around 10 requests per year on average. Dane also wrote that about 122 copies of “From Sight to Site” have been sold at $40 each, and that the Peabody receives $16 per copy sold. Joshua D. Koskoff, another of Lanier’s lawyers, added that the University has misrepresented Renty, rendering him “invisible” by not acknowledging his life story and his descendants. “So as much as the case is about all the things we are talking about, in its purest sense, it is a search for the truth,” he added. If Lanier wins the rights to the daguerreotypes, Crump said they intend to take the photos on a tour across the United States — naming Detroit, Oakland, Los Angeles, and St. Louis as possible stops — before finally loaning them to museums. “What I hope we’re able to accomplish is to show the world who Renty is and tell that story,” Lanier said.